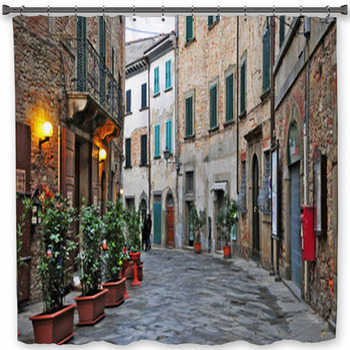 Bring Tuscany home for your bathroom decor. 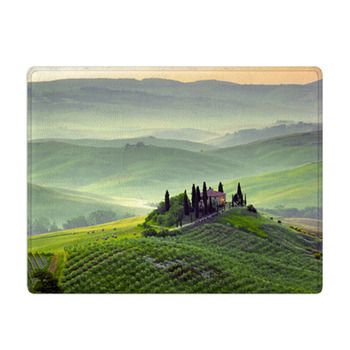 Few regions of the world are as memorable or command as much deserved attention as Tuscany, with its fabled sun and its golden light, its old farmhouses and sprawling vineyards, its warm breads and full wines. 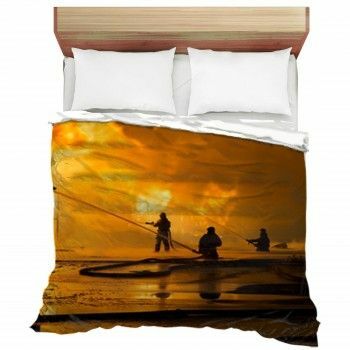 So help yourself to its bountiful harvests. 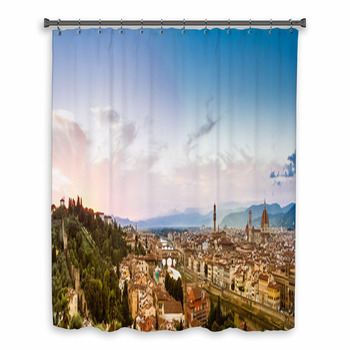 Put a mural of grapes and vineyards on Tuscan shower curtains. 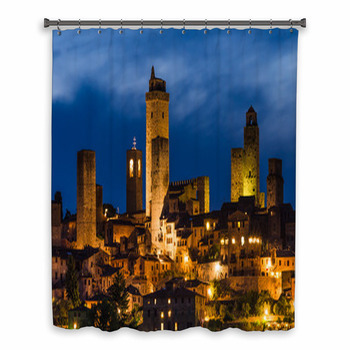 Lean the Tower of Pisa across your bathroom with a Tuscany shower curtain. Curve a dirt-track road to a farm house on a hill, or leave the Arno aglow in corals between Florentine structures in an amazing sunset. 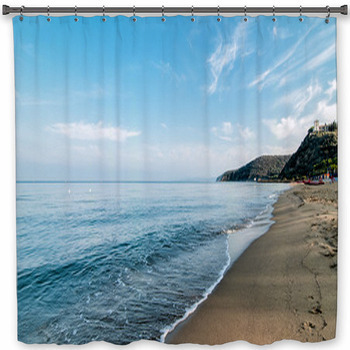 From bunches of grapes and clusters of olives to marble statues and classical still lifes, the designs in this collection give you the breadth of Tuscany to spread across your bathroom. 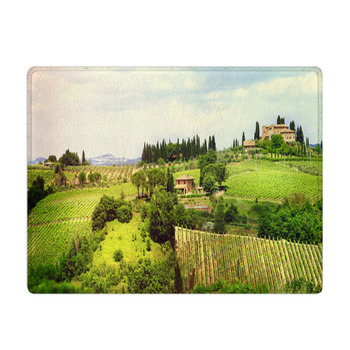 Towel off with warm bread and cheeses presented on a pale oak circle swirled with cocoa against the cool gray stone wall of a Tuscan farm house. Put stalks of wheat behind freshly baked loaves of Tuscan bread still lightly dusted with flour on custom size towels. 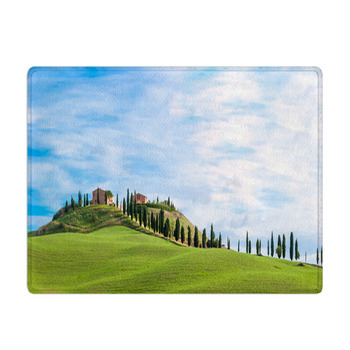 Leave Tuscany in a black and white word collage on a custom bath mat. 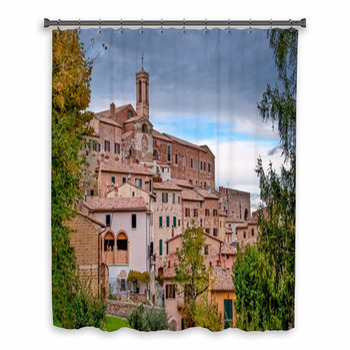 Spread the beautiful creams and cocoas of a hilltop village on Tuscan shower curtains, framed by leafy trees, dark hills, and silvery skies. 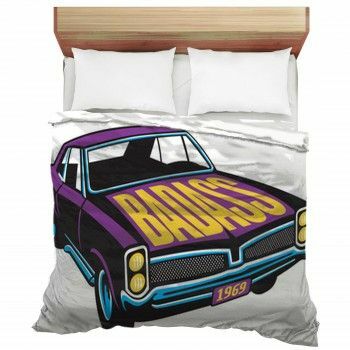 Dangle a couple of ripe black olives on the bath mat, or scatter the scarlets of wine and grapes across your bathroom floor. 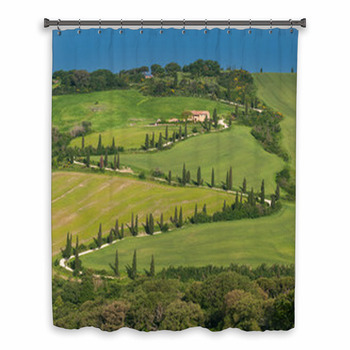 Leave the green hills and tall pines of Tuscany in a morning mist on custom Tuscan style shower curtains. 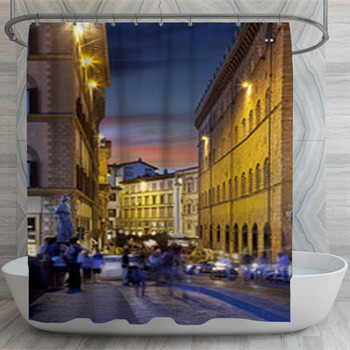 From the museums of Florence to the golden Tuscan countryside, leave the classic glow of Tuscany shower curtains in your bathroom.